This might be one of the most violent acts in the universe… but it sure is fun to watch. A new animation from NASA shows what happens to a star when it gets too close to a black hole. It doesn’t end well for the star. The extreme gravity of the black hole causes intense tidal forces to tug at the star and tear it apart. Most of it gets sucked into the black hole, but some of it gets flung outward into space at high speeds. This results in an X-ray flare that can be seen for years. The study was based on observations of a tidal disruption event called ASASSN-14li, which was first spotted in November 2014 and is taking place about 290 million light years away. Over the summer, astrophysicist Stephen Hawking said something sucked inside a black hole may not be gone forever after all, but instead may come out in an alternate universe. So you might have that to look forward to at least. There are a lot of bizarre theories about black holes. Black holes gobble up everything that gets too close, even light, they can cause time to slow down, they contain entire universes, etc. But here’s something about black holes you might not have heard: They simply don’t exist. That’s the contention of Dr. Laura Mersini-Houghton, a theoretical physicist at the University of North Carolina at Chapel Hill. In a new paper submitted to the non-peer-reviewed (red flag!) online research paper repository ArXiv, she offers what she calls proof that it’s mathematically impossible for black holes ever to form. 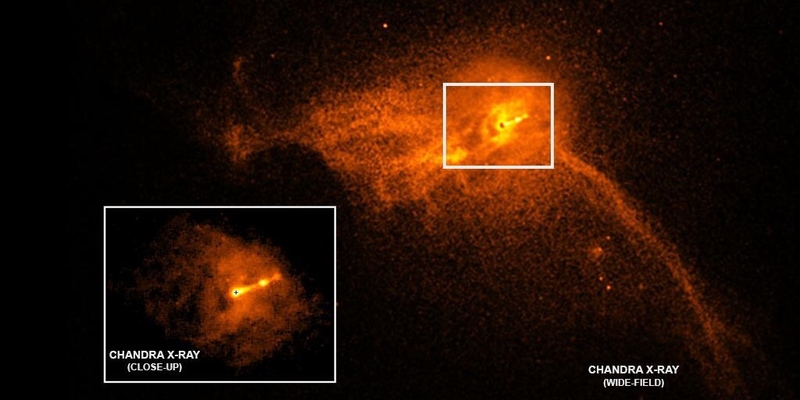 The paper suggests a possible resolution of the so-called “black hole information loss paradox,” in which Einstein’s theory of relativity predicts that black holes should form but quantum theory says no “information” can ever permanently disappear from the universe. In the conventional view, a black hole forms when a dying star collapses under the force of its own gravity to become a singularity. The gravity within the region surrounding this singularity is so intense that not even light can escape, hence the term black hole. According to Mersini-Houghton however, a collapsing star sheds mass as it shrinks–so no black hole ever forms. Instead, the star stops collapsing at a finite radius…and its core explodes. Another problem with the new theory is the difficulty of claiming that ‘black holes don’t exist’ without first explaining the observational evidence we have for black holes. Black holes are without question some of the strangest places in the universe. So massive that they hideously deform space and time, so dense that their centers are called “points at infinity,” and pitch- black because not even light can escape them, it isn’t surprising that so many people wonder what it would be like to visit one. It’s not exactly a restive vacation spot, as it turns out. If you were to take a step into a black hole, your body would most closely resemble “toothpaste being extruded out of the tube,” as astrophysicist Neil deGrasse Tyson puts it. When an object crosses a black hole’s “event horizon”, its outer boundary or point of no return, the same physics that causes Earth’s ocean tides begins to take effect. Gravity’s strength decreases with distance, so the moon pulls on the side of the Earth closer to it a bit more vigorously than the side farther from it, and as a result, Earth elongates ever so slightly in the direction of the moon. The land is sturdy, so it doesn’t move much, but the water on Earth’s surface is fluid, so it flows along the elongated axis. See Bill O’Reilly, we can explain that. Near a black hole roughly the size of Earth, tidal forces are magnified off the scale. Swan-diving into one, the top of your head would feel so much more gravitational pull than the tips of your toes that you would be stretched, longer and longer. British astrophysicist Sir Martin Rees coined the term ‘spaghettification,’ which is a perfectly good way to put it. You eventually become a stream of subatomic particles that swirl into the black hole. 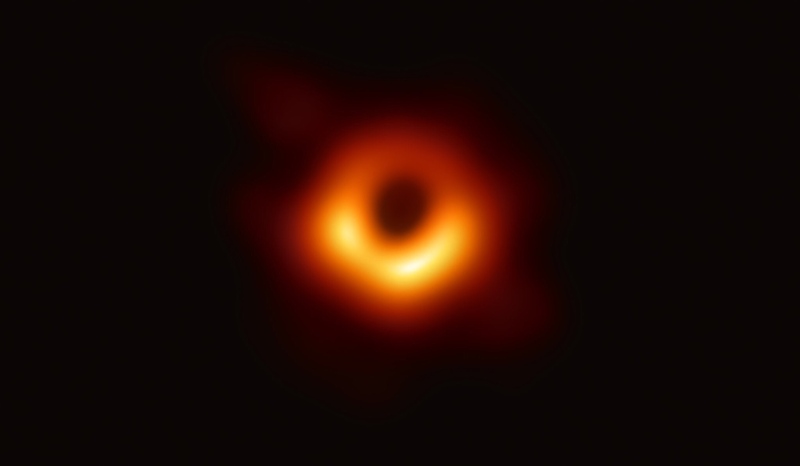 Since your brain would dissociate into its constituent atoms almost instantly, you’d have little opportunity to soak in the scenery at the threshold of an Earth-size black hole. However, if you’re dead-set on visiting a space-time singularity, I recommend going big; bigger black holes have less extreme surfaces. If you had a black hole the size of our solar system, then the tidal forces at the event horizon would not be quite as strong, so you could actually maintain your structural integrity longer. In that case, you would get to experience the effects of the curvature of space-time, predicted by Einstein’s general theory of relativity, firsthand. You would approach the speed of light as you fall into the black hole. And the faster you move through space, the slower you move through time. As you fall, there are things that have been falling in front of you that have experienced an even greater “time dilation” than you have. So if you’re able to look forward toward the black hole, you see every object that has fallen into it in the past. And if you look backwards, you’ll be able to see everything that will ever fall into the black hole behind you. So the upshot is, you’ll get to see the entire history of that spot in the universe simultaneously from the Big Bang all the way into the distant future. Not such a bad way to go, all things considered.